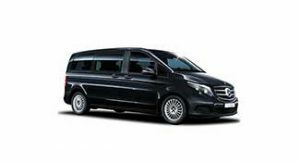 Our transport company of persons offers to private individuals and companies the hiring with driver of minibus Nice Cannes and its surroundings. Professionals, we assure you a qualified and competent personnel in all circumstances. Professionals will be able to organize business trips as part of a seminar or corporate convention. This will make it easier for you to manage your employees and facilitate their travel. Our site of hiring of minibus Nice Cannes will allow you to make a reservation in a few clicks. Whether for a tourist trip or for a business trip, you can count on us to make a personalized estimate. By simply calling our customer service you can get an overview of all the services we offer. 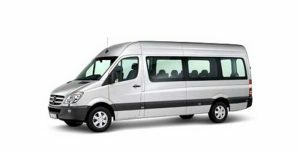 But above all, we can establish an approximate cost depending on the length of rental or journey. The Nice bus rental system is made in a few clicks or by simple call. Thanks to the reservation form you can fill in the address of departure and destination; Select the schedule, the date of your trip and the number of passengers on board, then you can calculate the price. By email, thank you to send us your request by describing your need: date, number of people, itinerary etc … We will send you a personalized study within 24h. 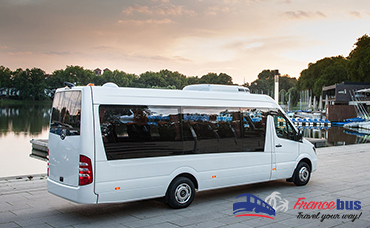 The reservation made, you will only have to relax in our minibuses. 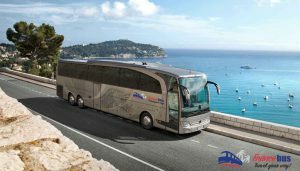 We also offer a range of high-end premium vehicles, for the most demanding customers, to combine luxury and quality, for travel in complete peace. Contact us for more information. Professional and competent, we call on experienced chauffeurs who will take you comfortably to their destination. It should be noted that our offers are often all inclusive: you will not pay the parking fees, the tolls or the lodging of the drivers. Do not hesitate to ask our customer service so that it can give you answers to all your requests.